The black and white videotape shows several Surrey RCMP officers carrying an apparently unconscious James Bertholet into a cell. They lay the 21-year-old man on his side on the floor, then return with a mat and place him on it. For about 30 minutes, he lies there, barely moving. Then his body begins to shake. He rolls over and throws up. Shortly after that, his left hand twitches a few times, then he stops breathing. About 20 minutes later, officers enter the cell and start performing CPR. The paramedics arrive, but it's too late. Bertholet's adoptive mother, Langley resident Joan McKellar, saw the tape for the first time last week. "I saw my son take his last breath and it was horrific," said the grieving parent. "I wanted to reach into that camera and hold his hand and tell him he was not alone." The coroner's office arranged the viewing last week to help her prepare for this week's inquest into the Aug. 30, 2006 death of Bertholet. The inquest opened Tuesday in Burnaby with the release of test results that show Bertholet died from alcohol poisoning. Shortly before his death, after he was kicked out of a Surrey recovery house, his mother said her desperate son told her he wanted to go to jail because it was the only place he could get treatment. "I'm not going to make it, drive me to jail," he said. "They won't take you," she warned. So he decided to get himself arrested by opening a bottle of booze in a Surrey liquor store and drinking it without paying. That was also captured on videotape and shown to McKellar. "He took a bottle of clear alcohol and just drank it like water." When police arrived, Bertholet did not resist and immediately put his hands behind his back to be handcuffed. He was arrested for causing a disturbance, being drunk in a public place and theft under $5,000. Bertholet had a troubled history. He had Fetal Alcohol Syndrome (FAS), a condition that, among other things, severely impaired his judgment. "He had no internal sense of control. He would drink alcohol like it was water. It would never occur to him that there was danger." A victim of sexual abuse, he'd been in and out of more than a dozen foster homes by the time McKellar and her husband adopted him. But despite his difficulties, he remained a sweet-tempered, gentle soul who used his paycheques to buy homeless people meals, his mother said. "He was a gift. He had a hard life and yet he was never embittered," she recalled. "It's tough because I love him as much today as I ever have and miss him and he's not here to touch and to hold or to hug or to help. So all I can do is be his voice." She hopes the inquest will show the need for police to be trained to deal with FAS and addiction issues. Specifically, she beleives medical personnel should be on-site at all times to deal with people at risk of overdosing. "You must err on the side of caution," she said. "You must value every life." 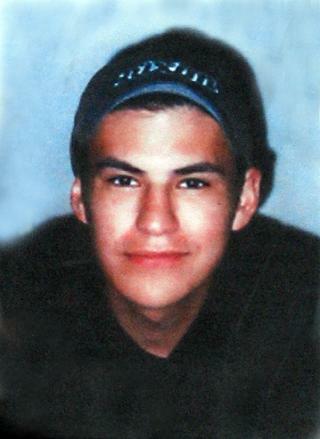 The inquest is scheduled to wrap up Thursday.